Ineltek UK, the UK and Ireland arm of Germany’s largest independent semiconductor distributor has further enhanced its specialist design-led product offering with the MEMS Sensors and Solutions experts Bosch Sensortec GmbH (full announcement). The addition of Bosch Sensortec’s world-leading products is highly synergistic with Ineltek’s existing portfolio targeting the Internet of Things (IoT) and Wearable Technology markets. To accompany this announcement, Ineltek UK is actively promoting and supporting the new BNO055 Xplained Pro extension board which allows rapid evaluation of Bosch Sensortec’s BNO055 9-axis Absolute Orientation Sensor device within Atmel’s popular Xplained platform. This extension board is available for only $19 from the Atmel webstore. 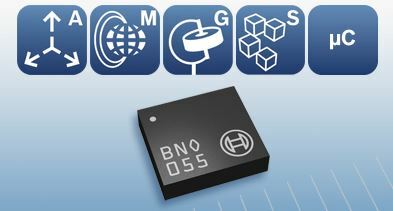 BNO055 is perfectly suited for applications such as augmented reality, deeply immersive gaming, personal health and fitness, indoor navigation and any other application requiring context awareness.